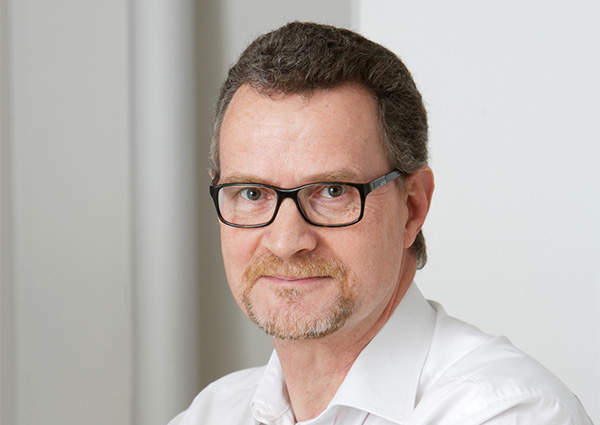 Giles Calver, planning director at Sedley Place. Image courtesy of Sedley Place. 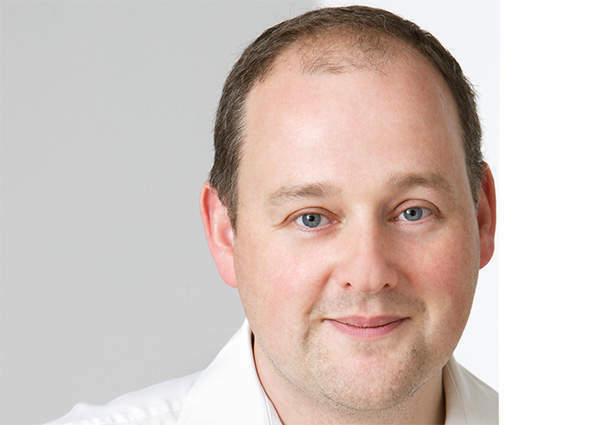 Jeremy Roots, head of graphics at Sedley Place. Image courtesy of Sedley Place. If you take a brand like Johnnie Walker, you're obviously starting with a brand with a huge history, which goes back to the 19th century. Image courtesy of Sedley Place. Whisky is no longer an old man's drink with the launch of things like Haig Club where it’s been aimed at the female drinking whisky [market]. Image courtesy of Sedley Place. [Brands] have to break down perceptions of a drink variety, and they have to entice and appear relevant to the audience. Image courtesy of Sedley Place. We have historically done other packaging but it's fair to say in the last 10-15 years, most of it has been drinks packaging. Image courtesy of Sedley Place. 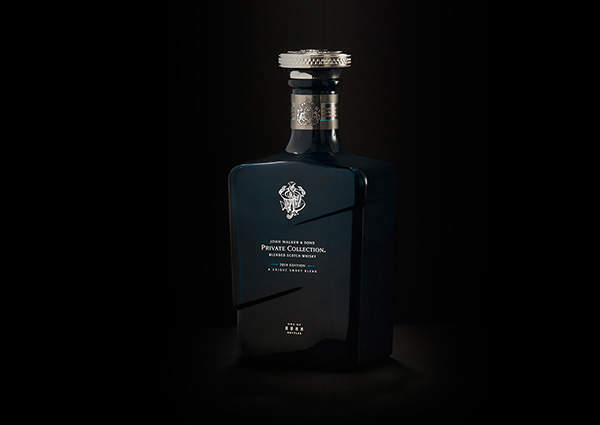 Stephanie Phillips: How would you convey brand identity in super premium spirits packaging? Giles Calver: If you take a brand like Johnnie Walker, you’re obviously starting with a brand with a huge history, which goes back to the 19th century. 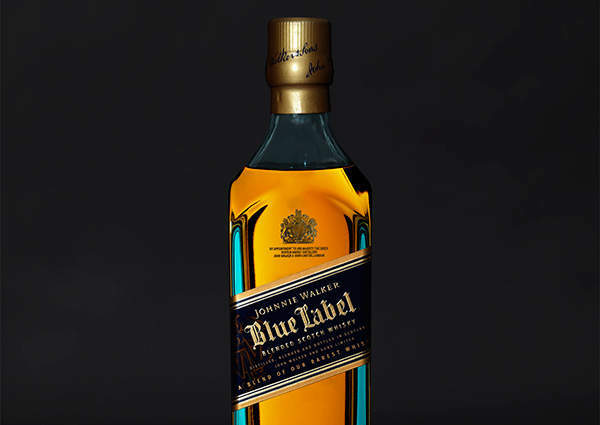 You go right back to the time of John Walker, the founder, and then Alexander Walker, the son, so you’re working with a brand with a huge history. 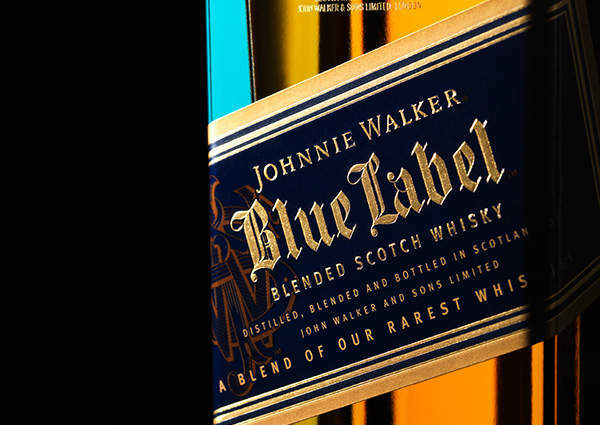 A lot of what we do there is … for example we worked on the redesign of Blue Label and started that in 2006. A lot of that project [involves] understanding the brand’s DNA and what its core assets are. Rather than it being a complete refreshment of those it’s more about understanding what you’ve got and then developing it. Jeremy Roots: It’s about how to exemplify the brand assets. Especially with a lot of the work where you’ve got a brand that’s been established for quite a number of decades. You’ve got a lot of brand equity there. [You have] to understand, initially, the value of that brand equity and how you can push it or use it to further and refresh [the brand]. For instance Tanqueray has been quite interesting and Johnnie Walker’s been fascinating, the way it splits into John Walker and Sons after Blue. It’s all building brand equity, it’s building on kudos and it’s building on a lot of the knowledge that the consumer already has and just teasing it a bit further down the line or challenging them a little bit further to come purchase a sample. SP: Would you use the history of the brand to sell a product or would you start afresh? JR: Not really because there’s always that intrinsic bedrock of brand history that goes in but at the same time especially with the way that the whisky market is changing for example is that [you have] to build in different nuances that are not around history. The whole notion of de-aged and single grain, which is coming up as quite an evolution in whisky, is nodding to history. It’s using it as an association that everyone understands that whisky is old but at the same time it’s talking to a new market now. Whisky is no longer an old man’s drink with the launch of things like Haig Club where it’s been aimed at the female drinking whisky [market]. That’s been done through the packaging but also through the flavour notes and whether they develop. This is the same for Singleton; the flavour notes have been tuned to make it more palatable. 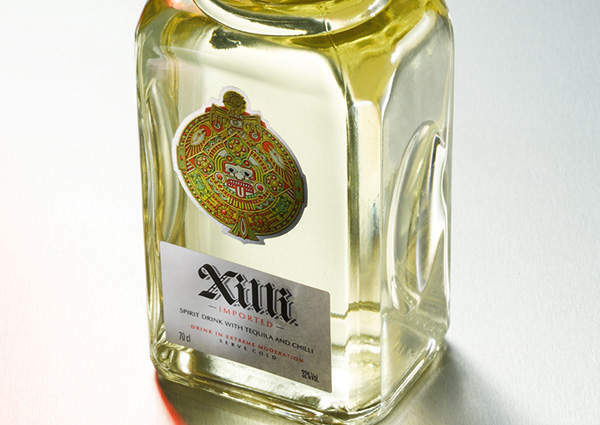 SP: Has there been an expansion of the premium spirits market? JR: There’s great expansion but also realisation that for brands to do that, they have to engage with new fresh audiences. They have to break down perceptions of a drink variety and they have to entice and appear relevant to the audience. GC: It’s fair to say if you take a drink like whisky you’re not talking about one audience. Not only are you talking about quite a diverse audience within a specific region but then you’ve got very different audiences from one region to another. In the Far East, what they perceive as luxury is quite different in a more mature market like the UK or America. SP: Do you create different packaging designs for different regions? GC: There are 3 or 4 whiskies we’ve designed for the Far East market … a lot has gone into it in terms of the language of luxury … the wood, the hinges, the finish, the material that has been used to line the boxes, the whole treatment of the boxes themselves. There are all sorts of things going on that communicate premium, luxury, quality. JR: Singleton is good, as a brand and as a product, in the way it was aimed at the Far East. In particular Asia, therefore the brand … is far more vibrant, it’s far less Scottish, far less dour, and it’s more celebratory. It’s aimed at gifting and celebrating with peers. It’s a drink for sharing, as opposed to a drink for contemplation, which has been predominately aimed and been extremely successful in [the Far East] market. The whole notion of ritual the way that a brand lives off a pack now has become far more relevant to the market. If you’re using an historic brand like John Walker and Sons you have to be aware of how it lives in people’s heads. SP: How would you convey the culture of prestige or sharing? JR: There’s [a lot] you can do on pack. If you can imagine the [Johnnie Walker] 1956 edition you’re talking about a retail price of £3,000. You’ve got inset pewter labels which are etched. There’s a neck charm, there’s a lot of charms for instance the veneers are arched and placed in a box so when they’re manufactured they are matched seamlessly. It’s not the kind of box you stick in the recycling. GC: In a culture like China where there are stratifications to society and the gift that you give to someone, relative to where they are in your social standing, is incredibly important. It’s changed slightly now, as Jeremy said, because the Chinese government has come down and said this gifting culture that has become quite extreme. They’ve stamped down on it but when we were working on it for the last three years … it was all tying into that. 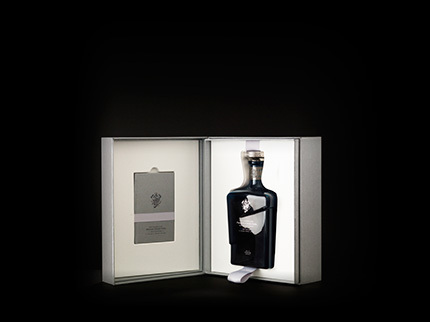 SP: Has Sedley Place always focused on spirits packaging exclusively? GC: I think it’s probably not deliberate. To some extent there’s always been a strong tradition within the business; what we latterly call ‘contemporary craft’ which is that whole notion of ‘crafting solution’. Coming up with a design where everything is very considered, where every element is really crafted, where materials have a lot of time spent on them. I guess that has led us down the line of producing a lot of work for drinks manufacturers where that finds a home. We have historically done other packaging but it’s fair to say in the last 10-15 years, most of it has been drinks packaging. Having said that we’re working on [a project] for a client in India at the moment; they’re launching a range of food products on the market. It’s not that we don’t want to work in those areas we just play to our strengths.